He finally admits to that thing you’ve always suspected. 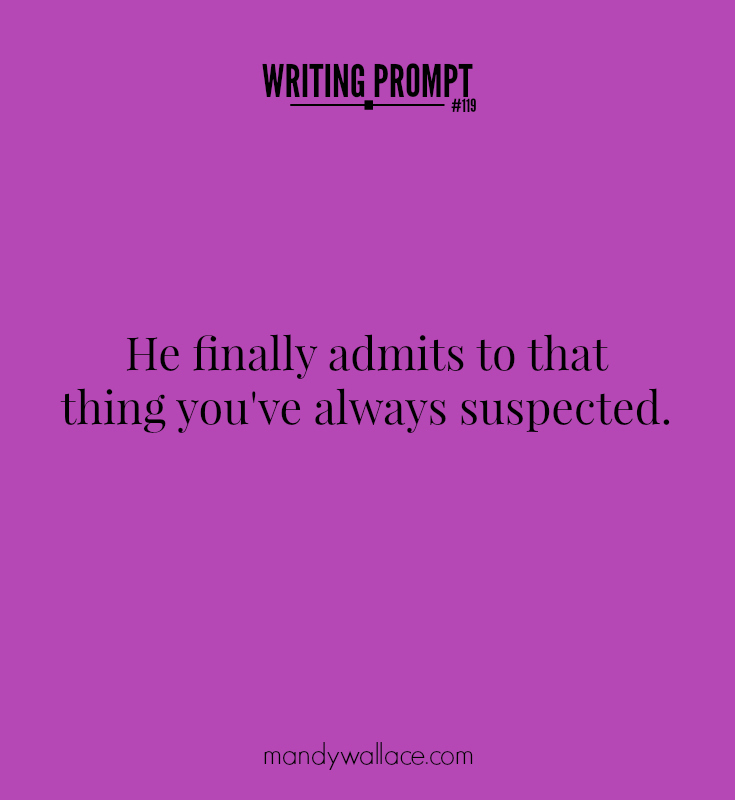 Take 5 minutes to consider the prompt. Who is he? What did he admit? How did you always know? What now? When you feel ready, share your work in the comments.